Victoria is a licensed, and certified massage therapist who brings over nineteen years of experience to her private practice. She graduated from the Halcyon Center in Ventura and trained under Karen Halcyon in 1996. Victoria is a proponent of massage for relieving physical as well as emotional stress. She strongly believes in massage as a viable modality for enhancing overall health and well-being through personal wellness and the inseparable connection between body and mind. 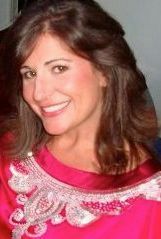 Victoria offers a variety of techniques ranging from Swedish, to sports massage, to deep tissue massage. She enjoys working with her clients and customizing their therapy to meet their specific needs. In addition, Victoria has been trained in extensive spa treatments, through the Dermalogica Institute. As well as Vacuodermie, Pressotherapy and lymphatic drainage through Selective Esthetics institute.